SACRAMENTO, CA - Baseball: the Tenth Inning is a new documentary film by Ken Burns and Lynn Novick, co-producers and co-directors of the project that will air on KVIE Channel 6. It features numerous interviews and discussions with players and the game itself, and features a portion of the impact Latino ball players have had on America’s pastime game. Sacramento’s own Marcos Breton is also featured in the film, providing a perspective on Latinos in baseball. He also published a book in 1999 entitled “Home Is Everything - A Latino Baseball Story.” In the film, Breton talks about the impact the late great Roberto Clemente had on him when after winning the World Series and Clemente spoke to the watching audience in Spanish. Breton also shares in the film his perspective about Barry Bonds, the San Francisco Giants' hitter, whose character changed before the public’s eye. Ken Burns was the focus of protests a couple of years ago when he omitted the contributions of Latinos in World War II in his 2007 documentary, “The War.” Although he responded to the pressure, especially from members of the American GI Forum, many Latinos still have hard feelings toward Burns. 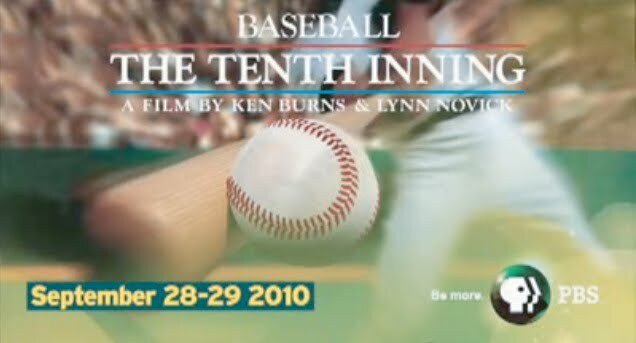 Baseball: The Tenth Inning is a four-hour, two-part film that covers the period between 1990 to today. It is scheduled to air on PBS KVIE Channel 6 on Tuesday, September 28 at 8 pm and Wednesday, September 29 also at 8 pm.